News & Information – W.A.P. 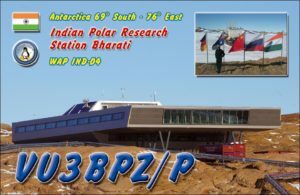 We must applaud the Russian Antarctic operators and their QSL managers for the punctuality with which they deliver our QSLs. 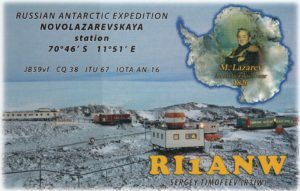 This time we have to thank RN1ON Alexei V. Kuz’menko (pic on top) for RI1ANW and RI1ANL QSL cards received very fast! 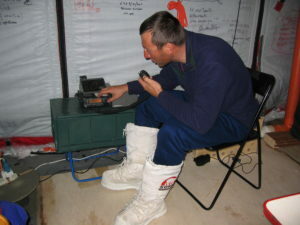 Alexey is QSL manager for several stations operating from Antarctica and he has been in Antarctica several times as well. 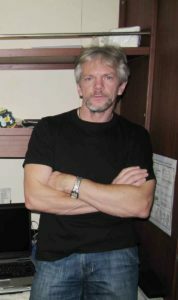 Check his page on QRZ.com to get the list of the Russian stations he is manager for. Alexey is asking QSL direct o via bureau and says: All QSL`s received direct (with SASE = SAE + 2USD or 1 NEW IRC) will send direct also. 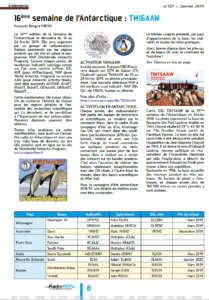 QSL received Direct without SASE will send buro. 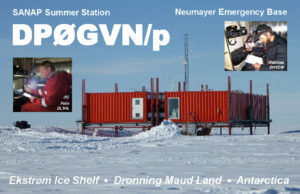 Matthias, DH5CW, and Felix, DL5XL, have been active from the South Africa SANAP Summer Base, WAP ZAF-11 (also known as Neumayer Emergency Base), Grid Locator IB59UJ, from January 8 to 9, 2019 as DPØGVN/p. 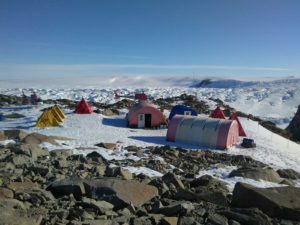 They left the German Neumayer III Station and in few hours trip, they reached the site from where, they have been active for 2 days. 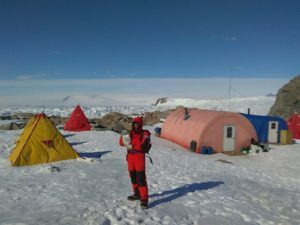 Talking about this Neumayer Emergency Base or SANAP Summer Base is something not too easy as there is not much literature available due to the changes over the years of both the South Africa SANAE Bases and the German Neumayer Stations. 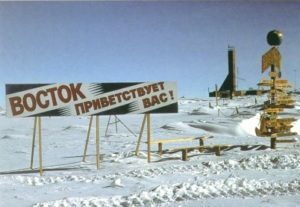 Both Countries had to decommission their Bases more than once, due to the instability; several stations have been built to replace older stations that had to be abandoned due to snow drift. 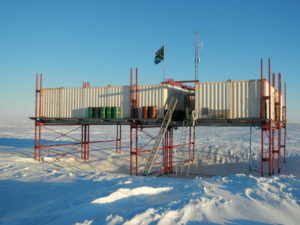 Just for example, the first E-Base was constructed and commissioned in January 1985 as a refuge in cases of emergency for the SANAE 3 (now decommissioned) over wintering station; She was located at 70° 17’ 80” South, 02° 25’ 56” West on the Fimbulisen ice shelf approximately eleven kilometers inland from the Penguin Bukta. During the summer periods, E-Base was actively used as accommodation for relief voyage and logistical personnel. 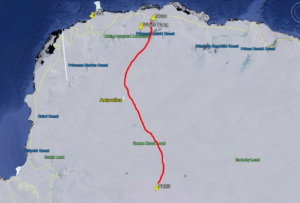 Actually, E-Base (SANAP Summer Base) is located at 70° 30’ South, 08° 15’ West on the route between SANAE IV (70°40’79” South, 08°16’15” West) and Neumayer III Station (70°40’25” South, 02°49’44” West) and is a South Africa logistical platform, resulting by a joint venture between the South African National Antarctic Programme (SANAP) and the German Alfred Wegner Institute (AWI). 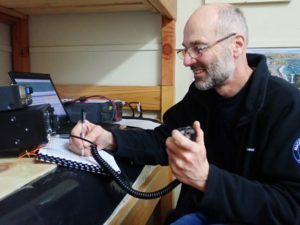 MiKe Luedemann, DL2OE (pic aside), has been in the Argentinean & Chilean sides of Tierra del Fuego (Sub Antarctica) where he has been active for quite a while, in CW and SSB. 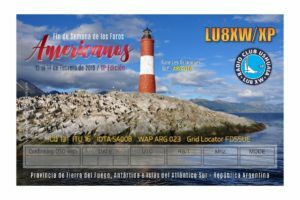 Mike did sign LU/DL2OE from 27 March through April 4th operating from the city of Tolhuin about 100 km north of Ushuaia (Isla Grande de Tierra del Fuego) WAP ARG-23. 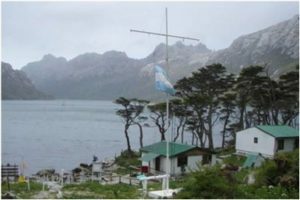 From April 4 to 7 he was on the Chilean side of Tierra del Fuego and he operates as CE8/DL2OE from Karukinka Park, the southernmost National Park in Chile (locator FD55PU), WAP CHL-13. 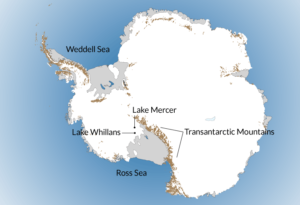 Lake Mercer, 84° 39’ 39” South, 149° 40’ 37” West, is a subglacial lake in Antarctica, that has remained untouched for millennia. Scientists accidentally discovered the lake in 2007. 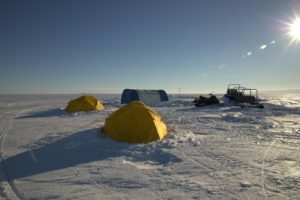 Over December 2018 – January 2019, SALSA (Subglacial Antarctic Lakes Scientific Access) set up a field camp of 50 scientists, drillers, and support staff and drilled 4,000 feet into the ice to sample from Mercer Subglacial Lake. 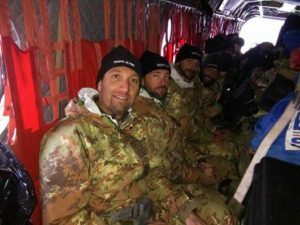 Located roughly 500 miles from the South Pole, team members reached the study site using specialized tractors and ski equipped aircraft. 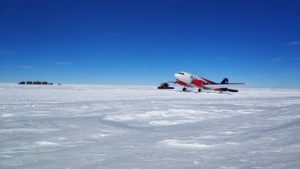 The project is uncovering new knowledge about this newly explored biome through an integrative study of subglacial geobiology, water column and sedimentary organic carbon, and geobiological processes in one of the largest subglacial lakes in West Antarctica. The studies will probably continue for some years. So far nobody has thought to set a Ham radio activity even in the free time; if someone will be active from there, a new WAP reference will be given. 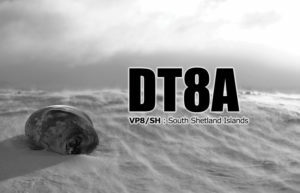 Perseverance DX Group has announced the intention to activate South Orkney Islands, and is planning an expedition to take places in February/March 2020. 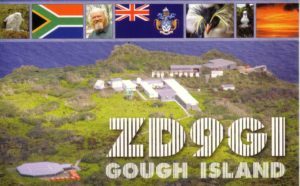 A team of experienced DX and Contest operators will operate from Signy Island (WAP GBR-Ø9) for up to 15 days. The process of obtaining landing permission is underway. The call sign will be announced at a later date. The team will sail from Punta Arenas, Chile aboard R/V Braveheart. 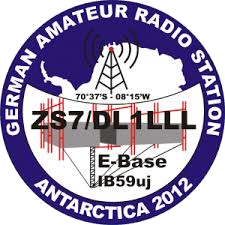 Seven operating positions are planned for 160-10 meters, SSB/CW/Digital. The Team includes: Dave K3EL, Les W2LK, Steve W1SRD, Ricardo PY2PT, Gene K5GS, Arliss W7XU, Heye DJ9RR, Laci HAØNAR, Mike WA6O, Vadym UT6UD, Walt N6XG and Rob N7QT. Foca Cove, Gourlay Peninsula, Cummings Cove. Let’s have a look of them. 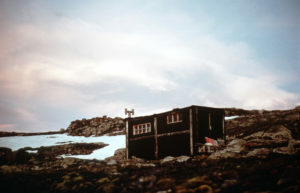 The U.K. Cummings Scientific Hut is located at Cummings Cove at 60°43’45” South, 45°39’50” West. 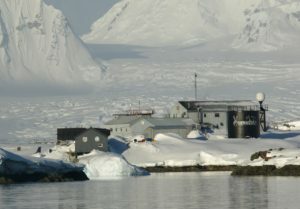 It is visited regularly by British Antarctic Survey personnel from Signy Island (WAP GBR-Ø9). It has accommodations for 2 people, with food and fuel for 2 person-months. Cummmings Cove feels very remote and the hut is lovely on the outside, but very basic on its inside. 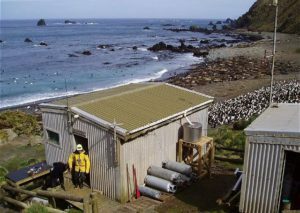 Gourlay Hut 60°43’50” South, 45°35’05” West, is worth a visit during the summer, as penguins and fur seals congregate there. 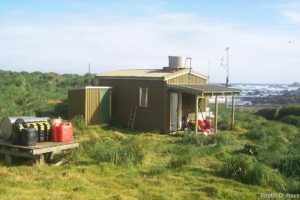 Gourlay itself also has some amazing views, just from the hut across Rock Haven, a popular spot for seals as well as penguins .The Gourlay peninsula 60°44’ South, 45°36’ West, is an ice-free site that guests 2 Huts; the hut on the left is a standard hut with a couple of bunks and on the right is the work hut. 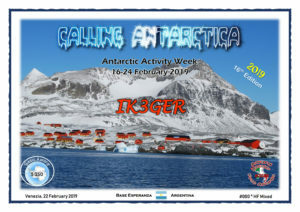 To manage the Antarctic WAP Awards and its subsequent updates, the best solution is to use the WAP Software, set by IK6CAC. 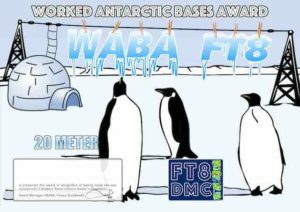 Several Hams are now coming up with a request to include FT8 mode into the WAP Software, as now a days many Antarctic Stations are QRV using this new mode & band. Following the requests, IK6CAC’s WAP management software has been updated and now the version 2.7 is online HERE and contains the opportunity to add contacts made in FT8 and 60 mts band. 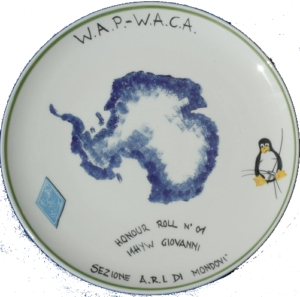 Enjoy Antarctica, apply for your WAP Awards, they are a hallmark of your passion for the Icy Continent! 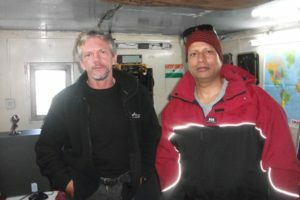 Oleg Sakharov RI1ANX (aka ZS1ANF, UA1PBA) is actually on board of M/V Agulhas-II heading to Cape Town after yesterday’s visit of South Georgia Island; Oleg will reach Cape Town next March 15th. 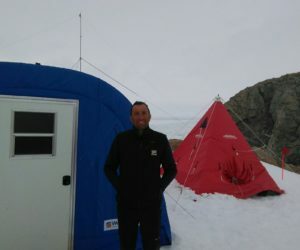 WAP is in contact with Oleg who has sent us pictures and details of the activity from the “Traverse Stop Point –Temporary Field Camp” from where Oleg RI1ANX did operate from 1 through 7 January 20019. 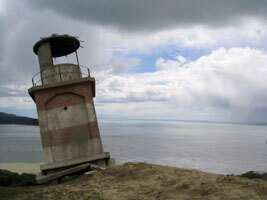 Oleg wrote: –There is nothing on 78° degree stop point. 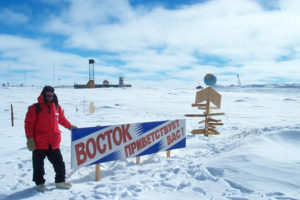 We were sitting there for some days, made a skiway, waiting some resupply by BT-67 which came 7th January-. 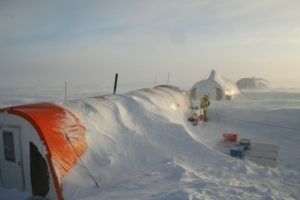 “Traverse Stop Point-Temporary Field Camp” has been the site where, a Multinational Team did stay for 8 days , sleeping inside the CAT and in the tents on the sledge. 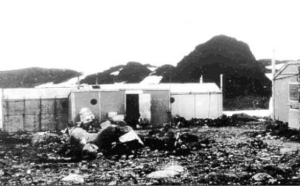 The Camp was set up to allow (after building a provisional Skyway) the receiving of supplies for people and vehicles. 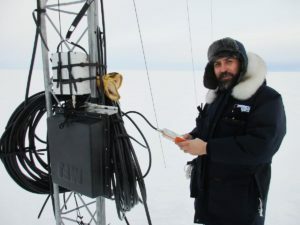 The Communication site was performed to keep connection with BT-67 aircraft and on the free time, to make contacts on the Ham bands. 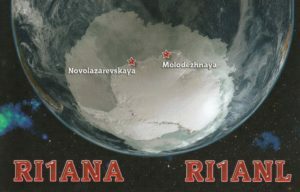 At the light of the evidence provided by Oleg Sakharov RI1ANX (aka ZS1ANF-UA1PBA) and to the 77 QSOs made from there. 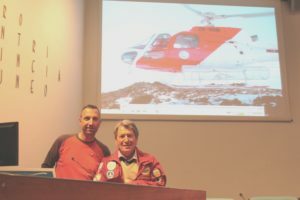 Thanks Oleg RI1ANX for the efforts made, and thanks to have given the Ham’s Antarctic Chasers another brand “NEW ONE”. 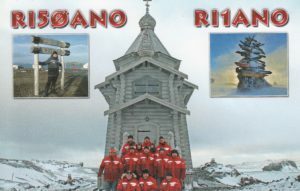 QSLs of RI1ANX will be printed in April-May and can be requested through RK1PWA or ZS1ANF. 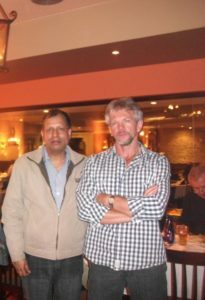 Pictures and additional information will be available as soon as Oleg will be back to South Africa. 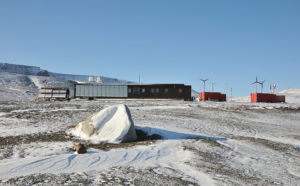 At 85° 51”South, 11° 37′ 01”East within the Schirmacher Oasis, Whichaway Camp is located within the wider study area comprise the Indian Maitri Research station (WAP IND-Ø3), and Russian Novolazarevskaya Research station (WAP RUS-Ø9) from where Oleg RI1ANX did also operate on last 16 & 17 Jan.2019. 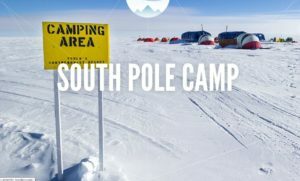 Whichaway Camp is on Shirmacher Oasis in Queen Maud Land, located between the edge of the Antarctic Ice Shelf, and the Novolazarevskaya Nivlisen (Nivi) Ice Shelf. 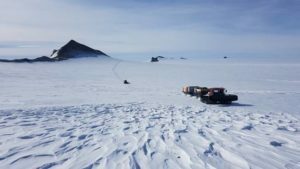 Behind the camp is a frozen lake, then a giant ice fall, and then glaciers and ice as far as one could see, with Nunatak in the distance. 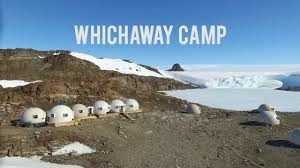 Arrival at Whichaway Camp is impressive and fascinating , a luxury hotel site in Antarctica; three centralized pods held the kitchen, lounge, and dining room and … more. 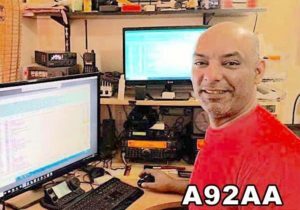 Following the operation of Oleg Sakharov RI1ANX of 30 jan. 2019 a New WAP reference WAP MNB-11 has been issued. 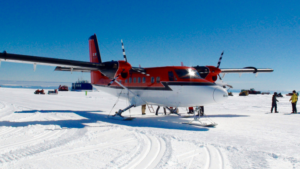 Wolfs Fang Runway (aka Wolf’s Fang Runway), 71°31’ South, 08°48’ East, is a private runway established by White Desert Ltd, a luxury travel company, at Antarctica to provide access for tourist to the company’s Whichaway Camp (WAP MNB-11) by transiting to Novo Runway. It is a re-establishment of a previous blue ice “Novo runway” that was also known as Blue One Runway, WAP MNB-Ø6 ( which is located at 70° 49’ 31”South, 11° 31’ 41” Eas). Following the operation of Oleg Sakharov RI1ANX of 27 jan. and 10 through 22 Febr. 2019 a New WAP reference WAP MNB-12 has been issued. 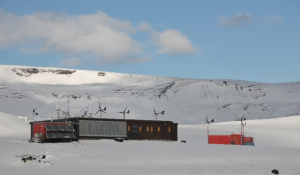 After 40 years, Polish Antarctic Research Station A. B. Dobrowolski at Bunger Hills will be reactivated. 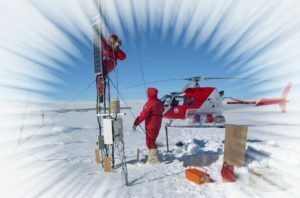 The Polish Academy of Sciences (PAN) has signed an agreement with Geoscience Australia establishing joint research in the Antarctic. 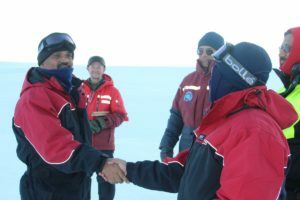 The cooperation between the two countries includes the exchange of scientific thought and technology as well as the exchange of scientific data for the development of maritime and land research on the Antarctic continent. As a part of that agreement, the Polish Antoni Dobrowolski Station is set to be reactivated. 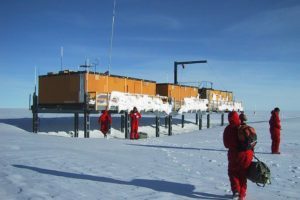 Poland has two research stations in the Antarctic: the H. Arctowski Station in the Southern Shetlands, in constant use since 1977, and the Antoni Dobrowolski Station in the Bunger Oasis in eastern Antarctica, which has been unused since 1979. 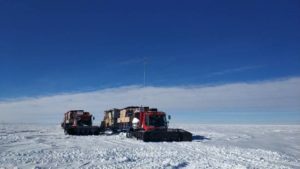 Once reactivated, the facility is to act as a bridgehead to site an autonomous geophysics station on the exposed rocks of the Antarctic continent. 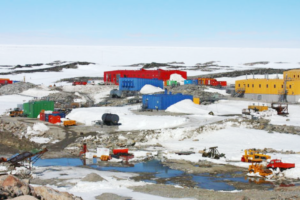 The first Polish expedition to the Bunger Oasis in forty years is planned to leave in three to four years with the use of a modern Australian ice-breaker, the Nuyina. -I don’t know anyone who was there, but a good friend of mine– Seba says -collects lots of info about Dobrowolski station. I will ask him but now he is on Arctowski station till the month of May-. 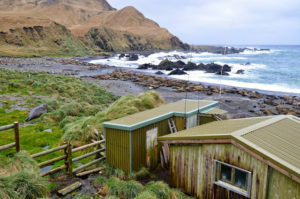 Brothers Point Hut, Brauer Bay, Macquarie Island, 54°56’ 00” South, 158°52’56” East. 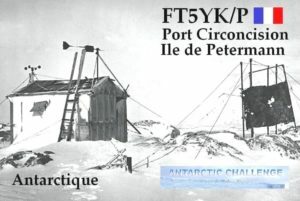 While will not be an easy task to identify who did operate from the several Huts & Refuges scattered around the coasts of Macquarie Island and the dates of each one, te mail of Trevor VKØTH, forwarded on the Antarctic reflector by Mehdi F5PFP was a good surprise. 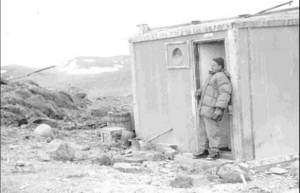 Trevor says: -I operated from the Ham Shack on the hill at the Station, also operated from the Refuges at Brothers Point and Waterfall Bay-. 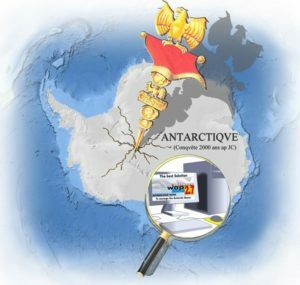 Now we suggest the Antarctic chasers to check their cards to see if there are some details that will allow WAP to allocate a correct reference to the so many Hamcalls operating from Macquarie in the past and recently. We kindly ask the operators who have been active at Macquarie to inform WAP by e-mail through wap_info@virgilio.it of the exact location they have been active from. We suggests the next operators at Macquarie, to mark the location of the operation site on their QSLcards . 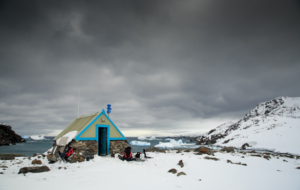 Brothers Point Hut (WAP AUS-Ø9) is located on the east coast, 8 km south of Macquarie Station. The fiberglass hut, known as a “googie”, provides comfortable accommodation for three people but may fit five in an emergency. 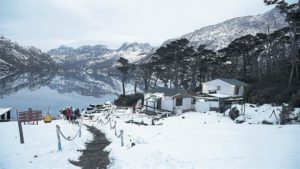 It is a popular destination for short duration field trips and is also used as a lunchtime or overnight stopping point as part of longer trips heading down the island. 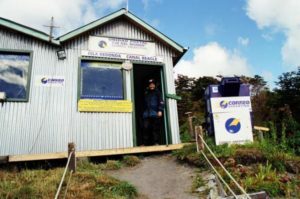 The hut is accessed from the station via the overland Sandy Bay track, or along the picturesque east coast, when tide and swell conditions allow. 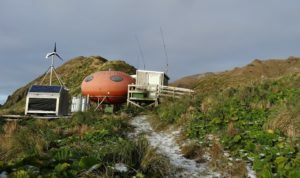 The hut is also accessible via inflatable rubber boat, however opportunities to travel on water are typically limited by the weather and availability of suitably qualified boating personnel. Waterfall Bay Hut (WAP AUS-1Ø) is another “googie” style fiberglass hut similar to the one at Brother Point. 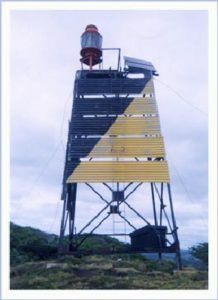 It was installed in 1993-94 as a replacement for the original Lusitania Bay Hut located to the south. The hut comfortably sleeps three people. As the crow flies, Waterfall Bay Hut is approximately 18 km south of Macquarie Station. 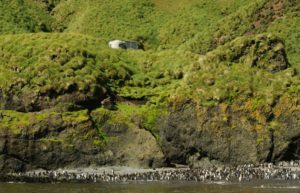 The hut is conveniently located for personnel travelling down island, and is well placed as a research base for the large king penguin colony at Lusitania Bay. It is easily accessed via the Jessie Nichol track from the north, or the Mt. Martin track from the south. These tracks are subsidiaries of the main north-south overland track. On the weekend from 15th through 17th Febr. 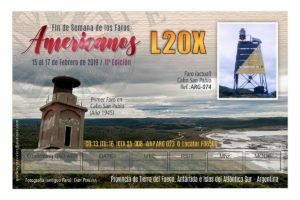 2019, Hams will get a chance to work a couple of lighthouses located in the Chilean Tierra del Fuego Province, Magallanes Region. They are listed on the WAP-LH Directory and so far brand new-ones . 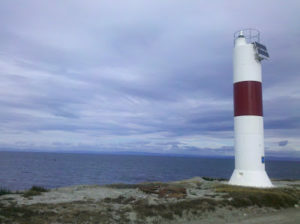 Faro Pontón Muñoz Gamerois a light house located at Punta del Rio, at the Punta Arenas Bay at 53° 10′ 33” South, 70° 55′ 6” West . The “Muñoz Gamero” (former “County of Peebles”) was a large four-masted boat launched in Scotland in 1875. It was acquired by Chile in 1898 along with two other sailboats. 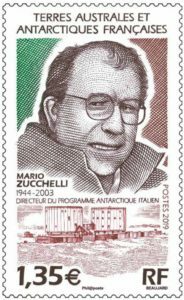 After his active life, he started operating in 1966 as a pontoon reservoir in Bahía Muñoz Gamero and finally ended his days as a breakwater in Punta Arenas in 1975. It is the boat that made a hall for public relations of the Navy. 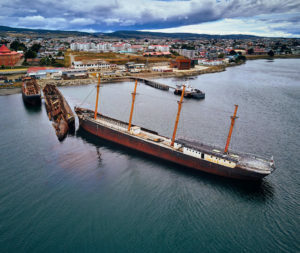 A full-day walk around the center of Punta Arenas includes 26 locations that connect the city’s rich heritage with memories of expeditions to Antarctica since the end of the 19th century. One of this place to visit, is the one on which, a lighthouse seems to be mounted is the shipwreck of the “Muñoz Gamero” Unfortunately, we have not been able to find any other more detailed information, sorry about that! 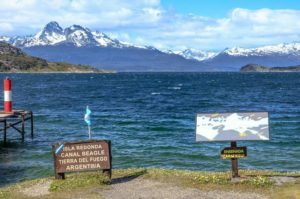 Positioned at the entrance to the bay of the same name, it mainly guides the ferries that make the connection between Porvenir and Punta Arenas as well as fishing boats. 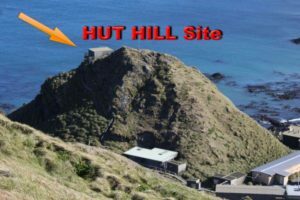 Hut Hill, Macquarie a brand new WAP AUS-Ø9 Ref. 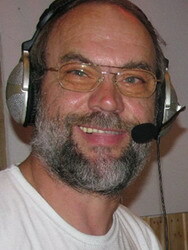 Macca Station Communications Tech, Norbert Trupp VK5MQ, is the Ham radio operator actually at Macquarie (WAP AUS-Ø8). 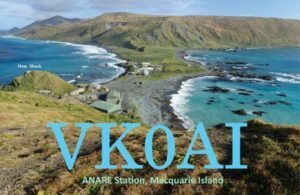 He spends some of his spare time working other Hams worldwide operating as VKØAI from the shack set on Hut Hill, facing the East coast’s sea just in opposite site of the main building’s station of Macquarie. 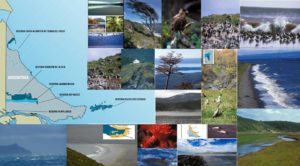 Let’s not forget that Macquarie Island is rated in the top 10 of “Most wanted” locations in the Ham world. Using “Squid pole antenna” set outside the Ham Shack on Hut Hill it is reported that, so far, he logged nearly 1500 contacts worldwide. 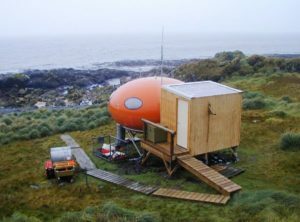 Hut Hill, 54°29’57” South, 158°56’24” East is still a non WAP referenced site on the “Section 2 of the Sub-Antarctic Territories list” of WAP-WADA Directory. A brand new WAP reference AUS-Ø9 has been issued. 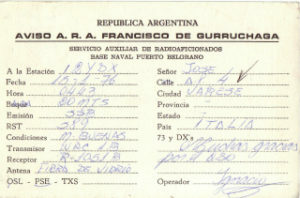 BaseBelgrano II was founded on February 5, 1979, to replace the Belgrano I (WAP ARG-Ø5). 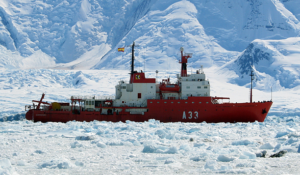 Subsequently, a third base, Belgrano III (WAP ARG-Ø7), was added, which was in operation from 1980 to 1984 when it was deactivated and evacuated on January 14, 1984 , due to the glaciological composition endangering personnel and equipment. The only one of the three Bases that is still in operation is the Belgrano II (AP ARG-Ø6). At present, after the shut down of Base Belgrano I on Jan.1980, after the deactivation of Base Belgrano III on Jan.1984, Belgrano II remains the Southernmost of the permanent bases of the Argentine Republic. Be careful Belgrano I, II or III have not to be confused with the “Puerto Belgrano Naval Base” (BNPB) (see the QSL hereby shown) which is the main base of the Armada Argentina; “Puerto Belgrano” is located to the South of the Province of Buenos Aires, in the city of Punta Alta, 24 km to the city of Bahía Blanca. 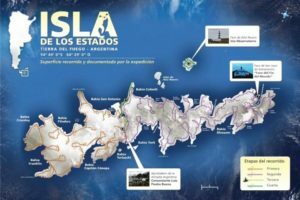 Redonda Island 54° 51′ 49″South, 68° 28′ 54″ West, is a small island territory at the mouth of Lapataia Bay, belonging to the Ushuaia Department of the Province of Tierra del Fuego, Antarctica and the South Atlantic Islands in the southern tip of Argentina. 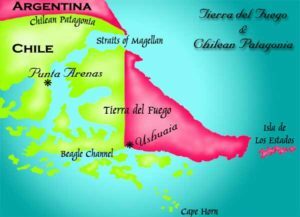 It is surrounded by the waters of the inter-oceanic pass called the Beagle Channel, in the Pacific Ocean. It has an area of about 50 hectares. Its maximum length is 1022 mts and its maximum width is 840 mts. On the island, more than 100 years old, the prisoners built a large structure used as Hut residence of which, ruins still remain in site. Actually, a small detachment of the Naval Prefecture hosts 3 person and the site is equipped with a kitchen, dining room, two rooms and a radio room that serves to communicate with all ships and boats that navigate the area. 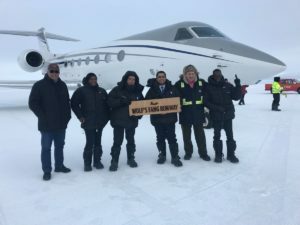 Wolfs Fang Runway (aka Wolf’s Fang Runway), 71°31’ South, 08°48’ East, is a private runway established by White Desert Ltd, a luxury travel company, at Antarctica to provide access for tourist to the company’s Whichaway Camp (WAP MNB-NEW) by transiting to Novo Runway. It is a re-establishment of a previous blue ice “Novo Runway” that was also known as Blue One Runway, WAP MNB-Ø6 (which is located at 70° 49’ 31”South, 11° 31’ 41” Eas). As soon as some Hams will operate from there, a New WAP reference will be issued. 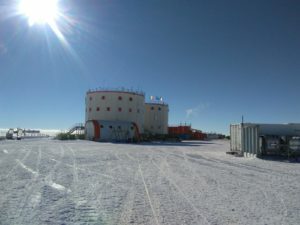 Vernadsky Research Base (WAP UKR-Ø1), the only Ukrainian station in Antarctica, is located on Galindez Island in the Bellingshausen Sea, close to the Antarctic Peninsula, some 2,700 kilometers away from the South Pole. 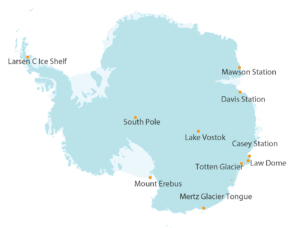 Ukraine is one of the 30 countries in the world, which has its permanent station in Antarctica, which operates all year round. 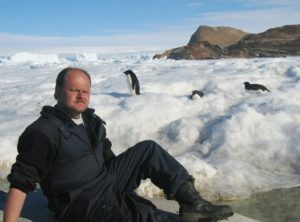 A team of 26 Ukrainian biologists, geologists, and engineers is to spend more than two months conducting important scientific research, according to the National Antarctic Scientific Center , the Ukrainian public body formed in 1993, responsible for coordination, managing and executing Ukrainian activities in Antarctica.. 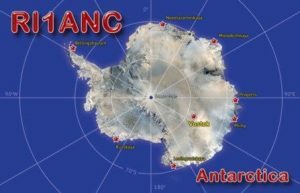 The 24th Ukrainian Antarctic Expedition set sail for the icy continent last Jan. 18th. 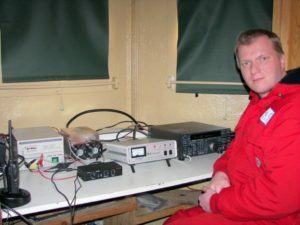 Roman Bratchyk, UT7UA (ex UA1OT & UB5KBE, UX1KA, pic aside) , is among the Team actually travelling to reach Vernadsky Base, Galindez Island; Ronan will operate on HF Bands on his spare time, signing EM1UA and EM1U . Roman Bratchyk , Post office Box-19, Kyiv, 01001 Ukraine. 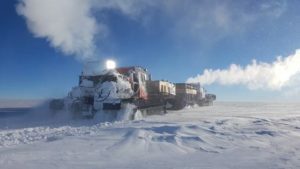 According to Pavlo UT1KY (a Ukrainian Antarctic veteran), it will take 2-3 weeks to reach the site, so we do not expect to hear Ronan before the beginning of February. The license issued, will expire 1st February 2020. 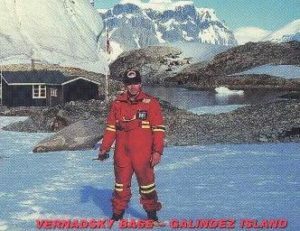 In 1996 the British Faraday Station (WAP GBR-Ø6) was transferred to the members of the 1st Ukrainian Antarctic Expedition and then renamed to the Akademik Vernadsky Station which is capable of supporting complex and systematic scientific research in Antarctica. 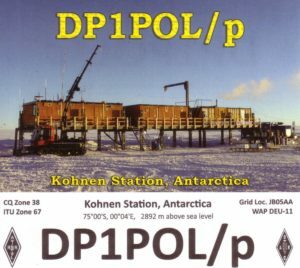 Lee Sang Hoon (DS4NMJ) is actually active from the Korean Antarctic scientific station King Sejong (WAP KOR-Ø1) on the South Shetland Islands, signing DT8A. 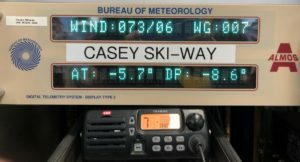 Lee operates barefoot, just 100 Watts but he has just started to be on air all bands CW and SSB; he will stay at King Sejong Base until the end of December. Established on February 17, 1988, King Sejong Base consists of 11 facility buildings and two observatories, and it is located on the Barton Peninsula, King George Island. It experiences a fairly mild climate, and therefore draws a large number of animals for summer breeding (which, unsurprisingly, draw a lot of biologists). 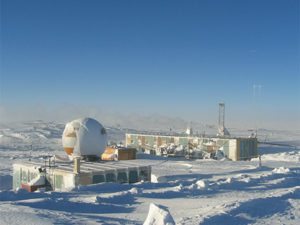 In the summer, the station supports up to 90 people from the Korean Polar Research Institute, and guest scientists from other institutions as well. 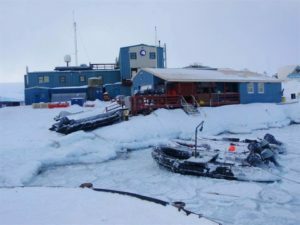 Over winter, it accommodates only 17 engineers and scientists who maintain the station and routinely collect data (meteorological records, oceanographical parameters, etc. ), but their main focus is on tracking the general change of the natural environment. 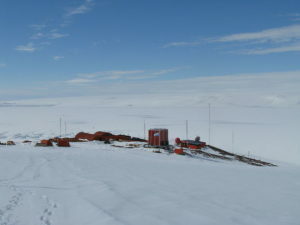 Casey Station (WAP AUS-Ø2) is significant as a transport hub for the Australian Antarctic Program, with the introduction of intercontinental jet flights for scientists and operational staff from Hobart to the Wilkins Ice Runway (WAP AUS-NEW), 65 kilometres (40 mi) inland from Cas ey Station. The inaugural landing of the AAD‘s Airbus A319 aircraft was on the evening of December 9th, 2007. 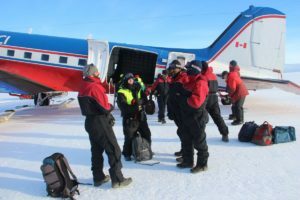 In addition, there is an appendix of the main Casey Base (WAP AUS-Ø2); that is Casey Station Skyway, just a smaller airstrip for aircraft such as Twin Otters and the Baslers. 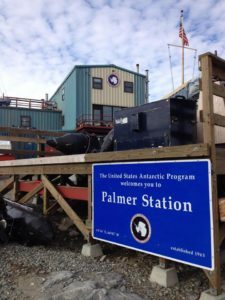 It is located at 66° 17’ 17” South, 110° 45’ 27” East, 10 kilometers (6.2 mi) to the East of Casey Base, and opened on 30 December 2004.